Property taxes and school finance — the top two priorities of state leaders this legislative session — aren't the sorts of issues that fire up political partisans. Sometimes, lawmakers are just trying to do some work. 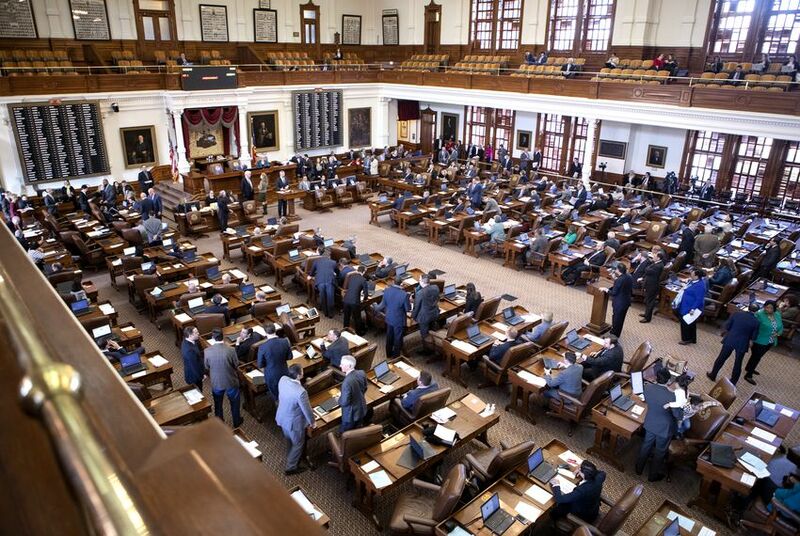 This isn’t going to be a session for the show horses in the Texas Legislature. State leaders laid out their plans for property taxes — they hope to stop the rapid growth of that most-loathed levy — but specific proposals for school finance are still in the hopper, waiting to be detailed so lawmakers and the rest of us can find out whether and how all of this fits together. Gov. Greg Abbott will be on stage Tuesday in front of the House and the Senate to tell them what he hopes to accomplish during this legislative session — to lay out, for everyone to see, the standards by which he and the 86th Texas Legislature are to be judged. Lawmakers don’t have to listen to him. Abbott has called more than once for tighter ethics laws, asking Texas legislators to make it harder for Texas legislators to do the things that raise voters’ eyebrows, whether it’s campaign finance, self-dealing or the disclosure of financial interests to pay-for-play schemes that favor political donors over the rest of us. That is both a big ask — who regulates themselves? — and a simple set of demands that most lawmakers would agree to if they didn’t think it would mess up their bidness. Most of them are honest. The actions of a few, however, make the rest of us think less of all of them, and the honest lawmakers can’t seem to see it. But this is about the governor, and the State of the State speech, and setting goals. If he wants legislation that changes the financial architecture of public school funding in Texas, along with new laws that require voter approval for anything but small increases in local property taxes, he’ll spell it out. In the process, he’ll do what he tried to do with ethics proposals, to spur lawmakers into doing something they wouldn’t necessarily do without the governor breathing on them. It’s a risk of leading: They might not follow. Another risk of leading: If you don’t ask, the Legislature doesn’t answer. School finance and property taxes are hard to fix, no matter who’s in charge. They’re unrewarding to fix, politically speaking. You can get a lot more public attention with a bogus list of noncitizen voters than you get for proposing automatic elections whenever local officials raise taxes more than 2.5 percent. A property tax cut would get some attention, but it’s proved nearly impossible for the state to make one that stick. Lawmakers tried cutting local school property taxes in 2006, promising the average homeowner a $2,000 cut. But people never saw it because the state doesn’t have the constitutional power to control property taxes. Growing school districts and rising property values ate that one up. If it’s hard to get credit for a tax cut, it’s harder to get credit for saying taxes won’t go up as fast in the future as they have in the past. It’s like saying traffic will get worse, but not as quickly as it has been getting worse. Getting a grip on school finance is another example of good government making for so-so politics. Most Texans don’t know that the state covers only 36 percent of the cost of public education, according to the comptroller’s latest calculations, or that the local school districts whose property taxes make up the lion’s share of your tax bill are paying 64 percent. Just seven years ago, the school finance load was 54.5 percent local and 45.5 percent state. Legislators can rebalance that if they can find the money (hint: it’s a lot of money), but they can’t guarantee that increasing state spending and easing the financial pressure on local school districts will result in lower property taxes. It should, but they can’t guarantee it. Go to a political town hall sometime in Texas and listen to the questions and the conversations. Property taxes and education are nearly always big topics, and elected officials in Texas want to make those voters happy. That’s their job. But it’s hard to get credit for the kinds of big moves that change property tax bills or make the state’s distribution of money for public education fairer. It’s the boring nuts-and-bolts stuff of government, difficult to accomplish and rarely rewarding on the campaign trail. But that’s the sale the governor and other state leaders are trying to make: Do the boring blocking and tackling this time and take care of a couple of the biggest problems facing the state. He can always appeal to their sense of duty. This stuff probably won’t make anybody famous, but it is why these people come to Austin every two years.